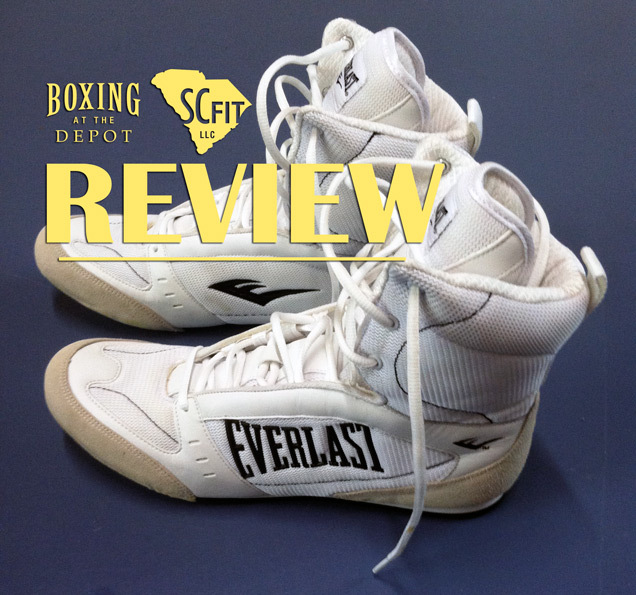 The Hi Top Everlast Boxing Shoes are extremely comfortable and cushioned around the ankle. 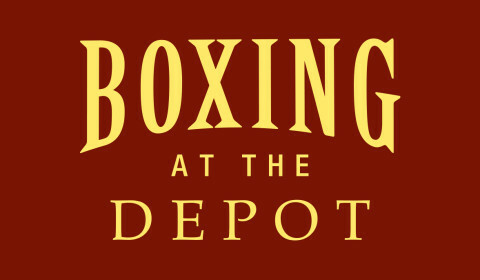 Many boxers begin their amateur career training in sneakers. It is extremely easy to roll your ankle in sneakers because of the way the soles are built. 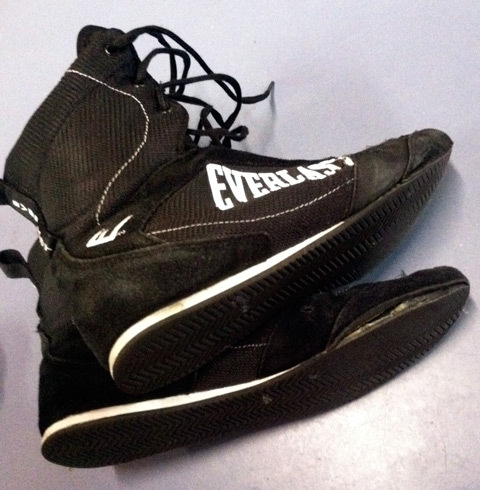 I’ve never had any boxer experience ankle problems or roll their ankle when wearing the Hi Top Everlast Boxing Shoes. It is extremely easy to pivot and push off with your toes as the soles do not grip too much. With sneakers you’ll often find yourself getting “caught” in transition. The cushioning inside the Everlast Boxing Shoes are comfortable. They aren’t extremely cushioned or pillowy which is good but they aren’t completely flat either. They fit around the feet’s arches comfortably. 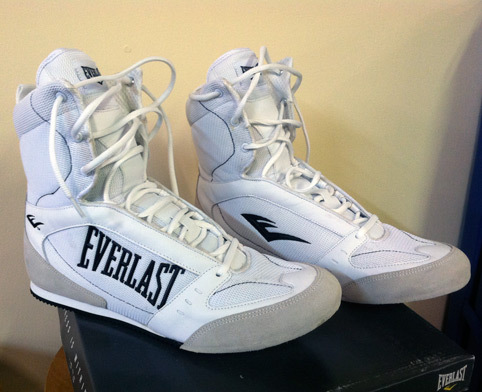 The laces are put through cloth loops at the bottom of the Hi Top Everlast Boxing Shoes. These cloth loops tend to not hold up very well and they easily pop from the stitching which will leave parts of your shoe asymmetrically laced and mess up the length of the laces at the top of the shoe when you go to tie them. We’ve had several pairs of brand new shoes have the bottom of their soles come unglued at the back after just a few uses rendering them useless almost instantly. The soles and padding wear out extremely fast if you use the shoes daily. The average life of a pair is 3 to 6 months if you’re in the gym every day jumping rope and working around. And while pushing off your toes and pivoting is extremely easy in the shoes they tend degrade very quickly where your big toe meets the floor. The shoes tend to run a tad bit small and the toe box can cramp your toes if you have a wider foot. It is recommended you go a half size up. Unfortunately in sizes 12 and above they do not make half sizes so you have to go a full size up which makes the shoes too big for the wearer. Overall Everlast Boxing Shoes offer excellent ankle support and allow you to move more fluidly without catching the ring canvas. Unfortunately they aren’t very durable in the padding and soles and sometimes some of the brand new shoes soles are defective and come unglued. Also if your feet tend to be wider or bigger the toe box will be too tight as the shoes run a tad bit small. This is the only review I’ve found on these, and I can’t be more grateful. Bought a pair because they were on sale for 25, so I figured I’d try it — Glad to find an honest review on them.